Alright, so I made this last night, and I want to share! 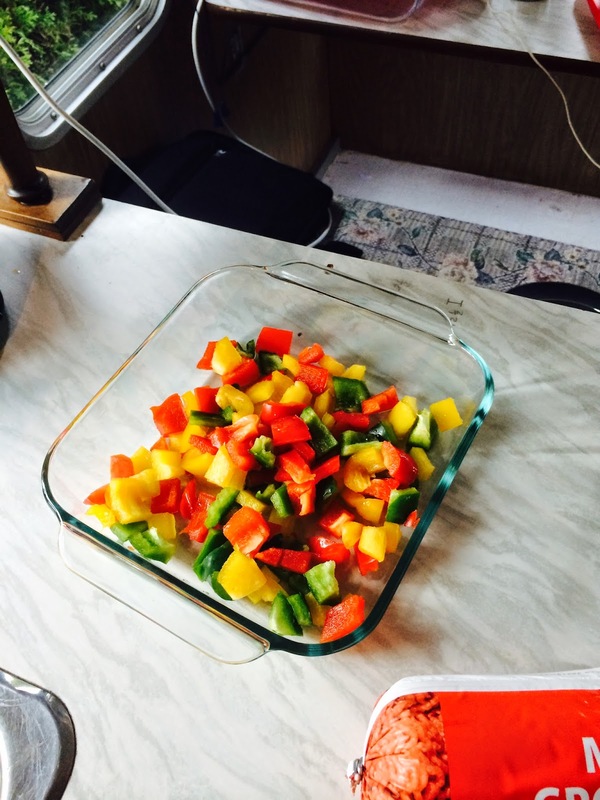 So I am going to start sharing my recipes with you! I’m taking foods i cook in the house, and trying to figure out the best way to make them in an RV. This recipe had to be modified (based on cooking utensils). The whole thing can be done in a deep frying pan, but you can follow it as I have for the RV, where I don’t have a deep frying pan. 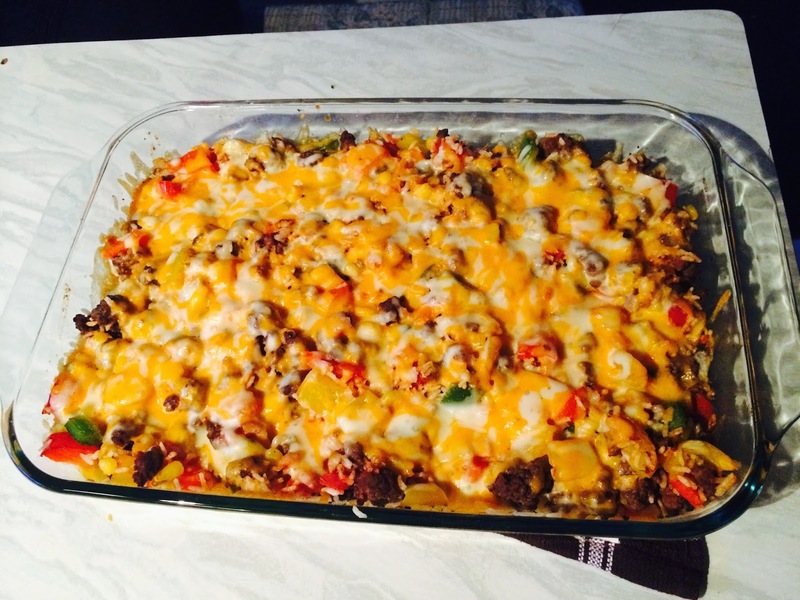 Feel free to grab my recipes, and modify them for your families! Share your results! I’d love to see them! As much grated cheese as you like! Start by prepping everything. Seriously, you don’t want to be rushed. 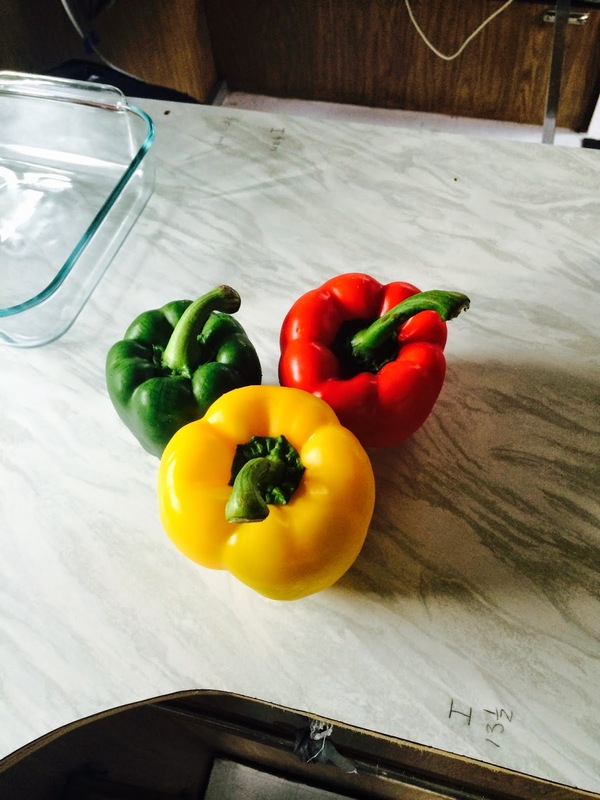 Chop your peppers, grate your cheese, measure out your other ingredients. 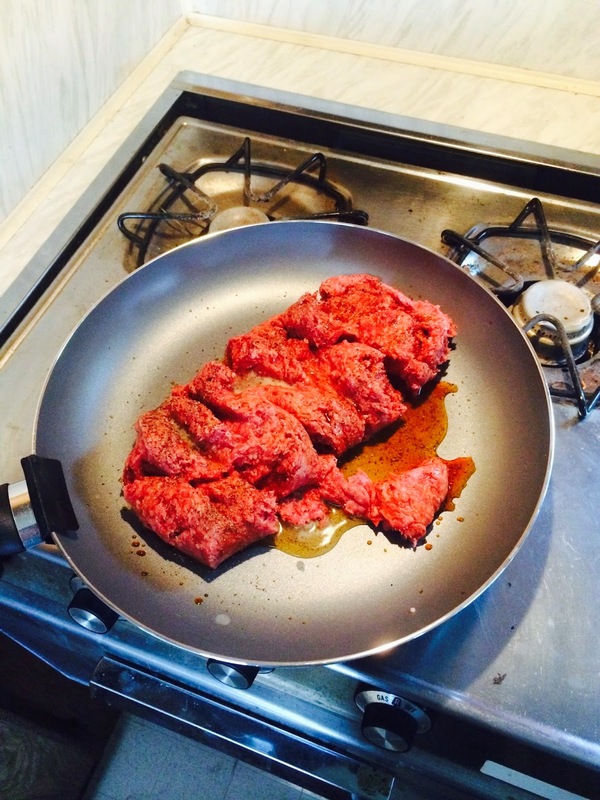 I tried cooking the ground beef, while prepping in the past, and it’s a stressful nightmare. 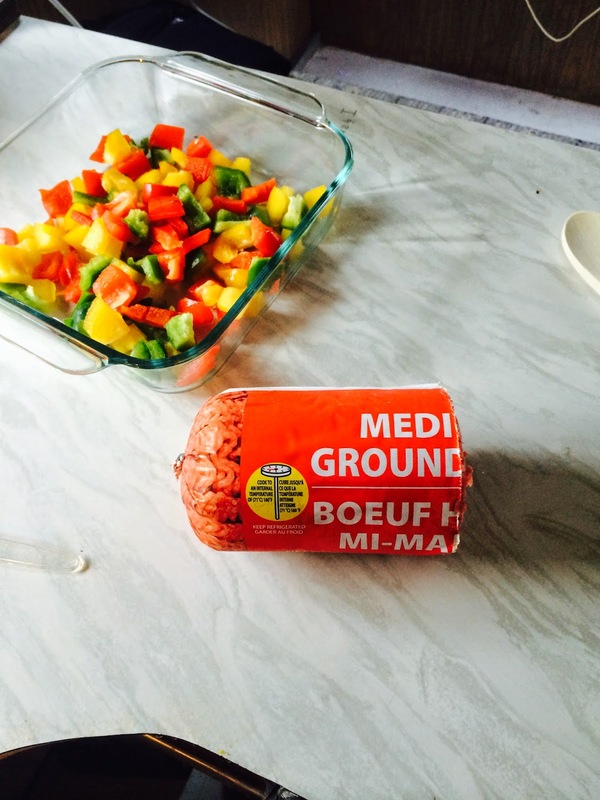 Once everything is prepped, cook your ground beef. (At home, I use a deep frying pan with a good lid. In the RV, I have to use what I have. Standard frying pan.) Season to taste. I personally like to add a little Soy Sauce, and Worcestershire Sauce right at the beginning. Then I add fresh chopped Garlic, Rosemary, Thyme, Salt, Pepper (a little white, and black), and sometimes for fun, I’ll experiment with adding other spices just to see how it works out. 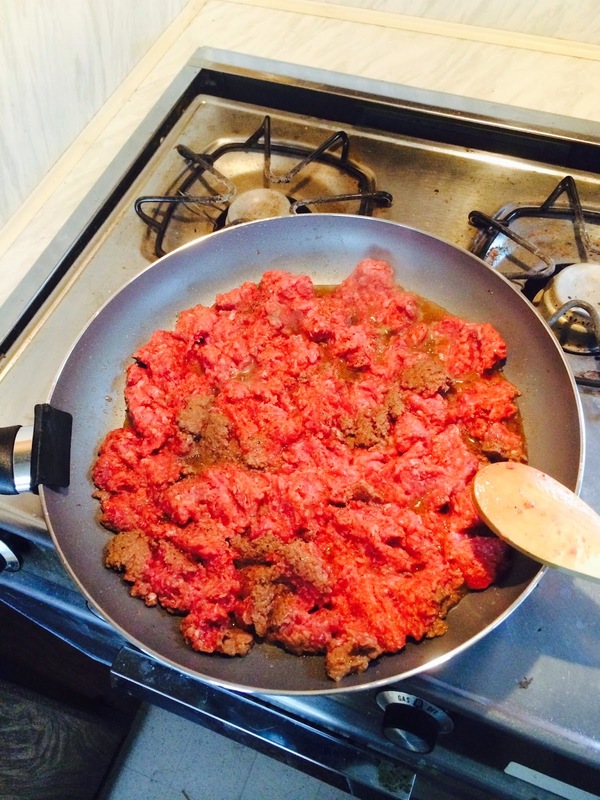 Once the ground beef is cooked, strain, and set aside. Now saute’ the peppers, not too much though, you want them to be firm. 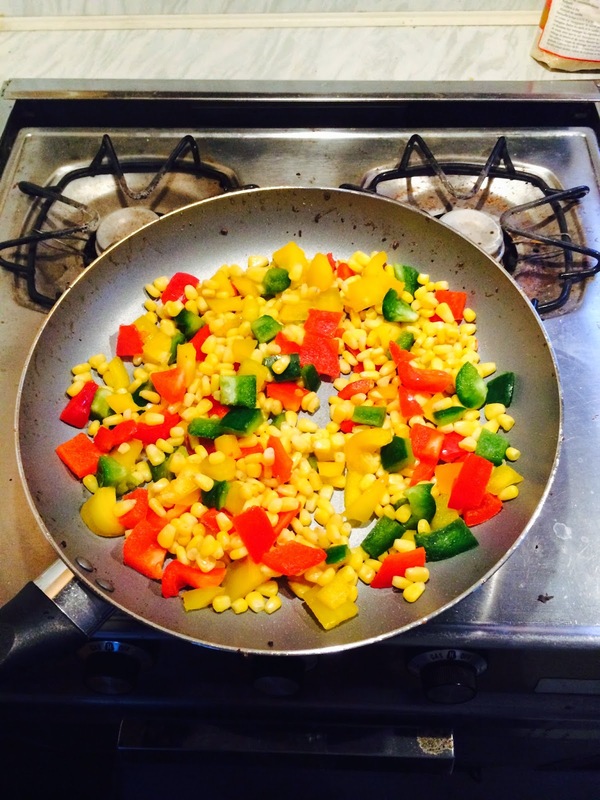 While the peppers are being cooked, add the beef, corn, rice, salsa, and water to a glass pan. Mix together, and add the chili powder. Once the peppered have been cooked, add them as well. 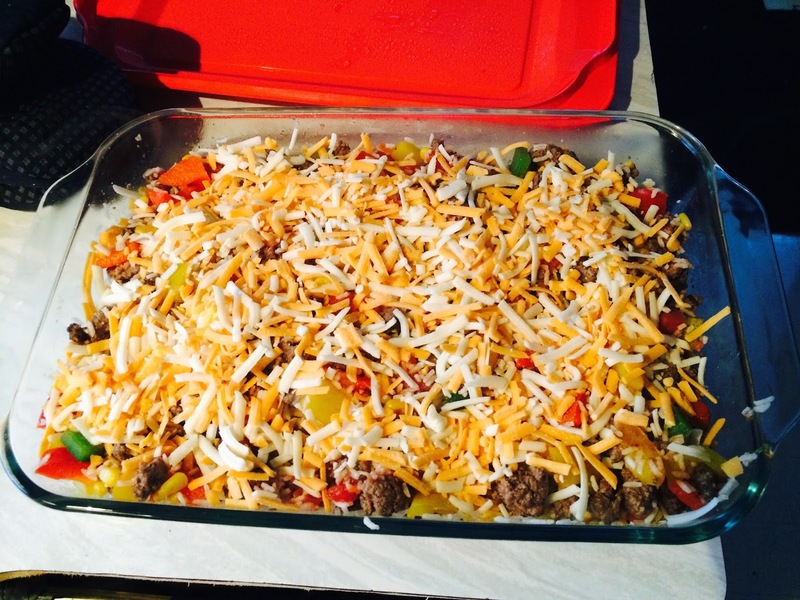 Mix everything together, and cover with cheese! Now, if you happen to have a deep frying pan, this entire thing can be done in it, on the stovetop. After adding the cheese, lower heat to a simmer and cover for 5 minutes. If not, then you also need to preheat your oven to around 250. Once you have added your cheese, put the pan into the oven for about 10-15 minutes. Basically, you need to eyeball this. The cheese should melt nicely, and this lower temp should give the rice time enough to cook. Enjoy! This recipe has been modified so many times with my tinkering, and I’d love to hear what you do with it. Just may give me some ideas!